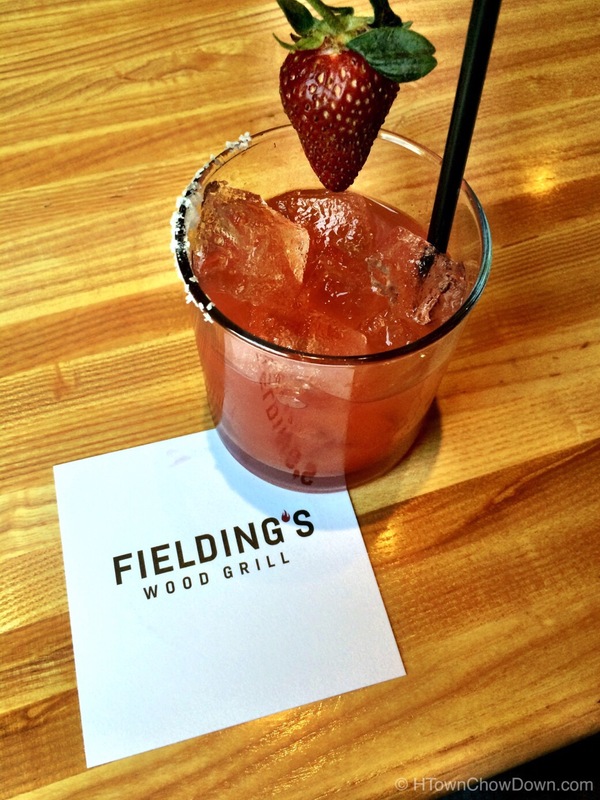 Fielding’s Wood Grill has become known as one of the best places in the Woodlands to dine. 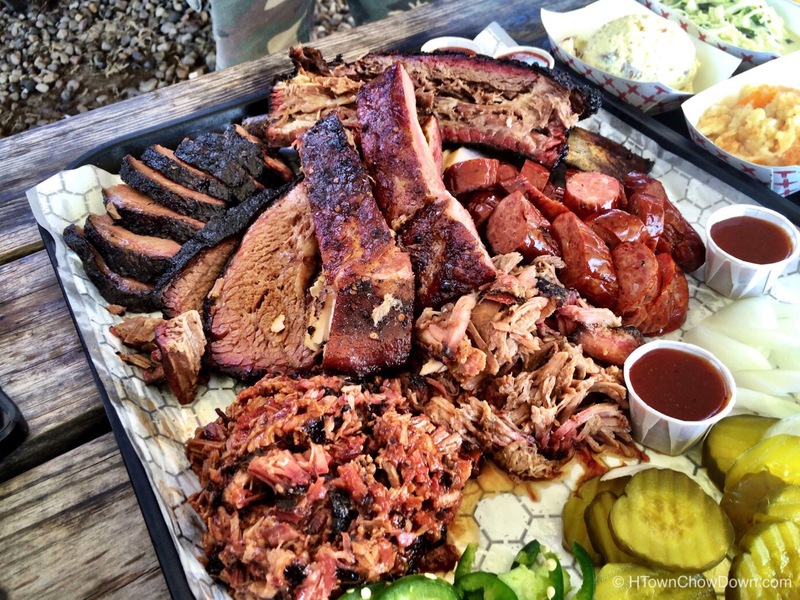 From their superb chef-created burgers to their enticing brunch, Fielding’s has done a great job of creating the kind of food that both locals and visitors crave. We’re fans, and have become regulars, visiting when we’re craving one of their excellent chef-made burgers or one of their other great options. One aspect of the restaurant that doesn’t always get as much attention is its excellent craft cocktail program. 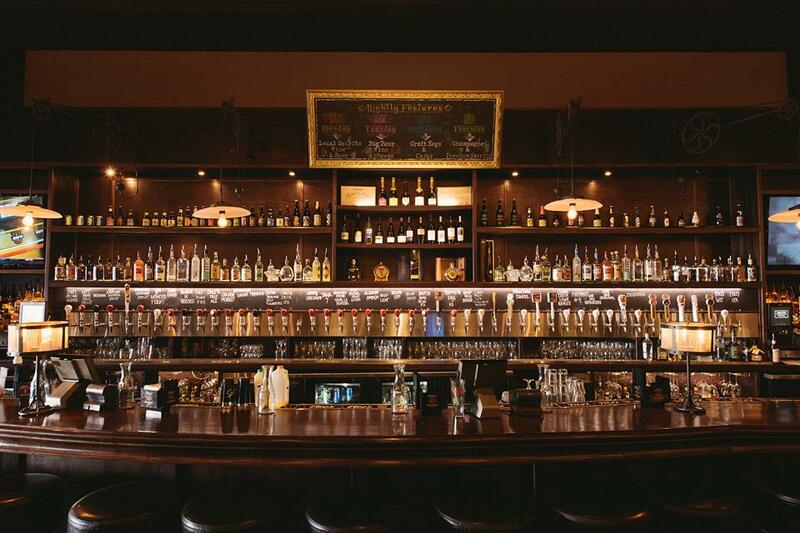 There are lots of restaurants and bars serving cocktails in the Woodlands, but few show the creativity and attention to detail that Fielding’s has on display behind the bar. Monday through Friday Fielding’s prices all of these speciality cocktails half off during happy hour (3pm to 6:30pm and 9pm to close) in the bar. First up was the April special: Pink Delicious. 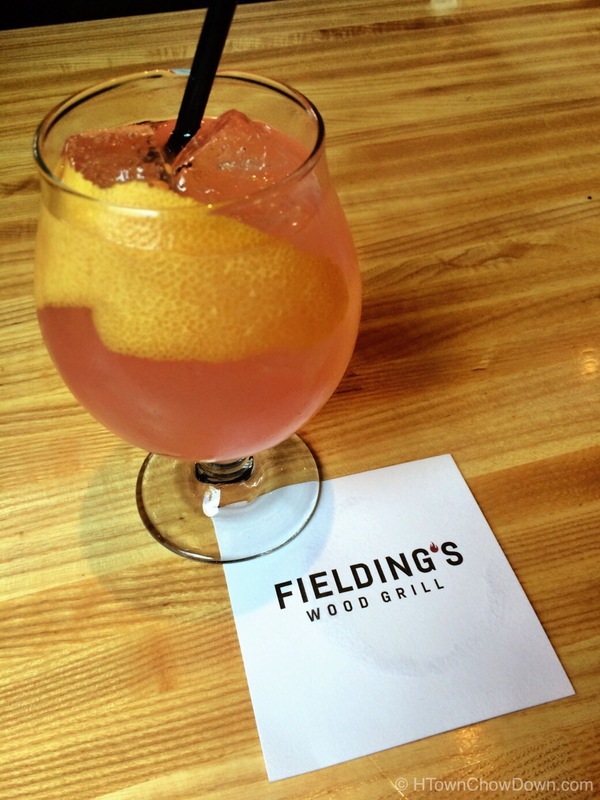 Fielding’s starts with Aviation American Gin, St. Germain elderflower liqueur, pressed grapefruit, cane syrup, Angostura bitters, and sparkling wine. The result is fresh and citrusy, with herbal undertones from the gin and bitters. A deliciously complex beverage that is very refreshing. Next we sampled an exciting new spin on a strawberry margarita. Infused mescal replaced the traditional tequila, and this mescal had been infused with fresh strawberries. The result was a lush strawberry flavor, the smooth undertones of mescal complementing the fruity sweetness. This margarita is smooth without a hint of harshness; one of the best we’ve tasted. 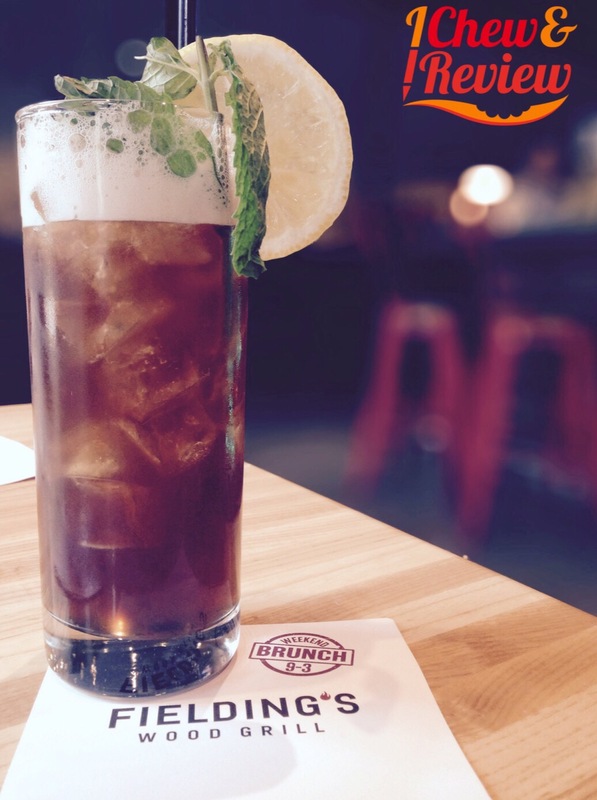 Another refreshing warm weather drink is the Woodlands Tea. It starts with Deep Eddy Sweet Tea Vodka, to which the Fielding’s bartender adds Hibiscus FruitLab, mint cane syrup, and organic green tea. Last but not least, the Green Lotus. A base of Grey Goose Citron vodka is mixed with St. Germain liqueur, green tea syrup, lemmon juice, and mint. It’s finished with a blast of Prosecco. 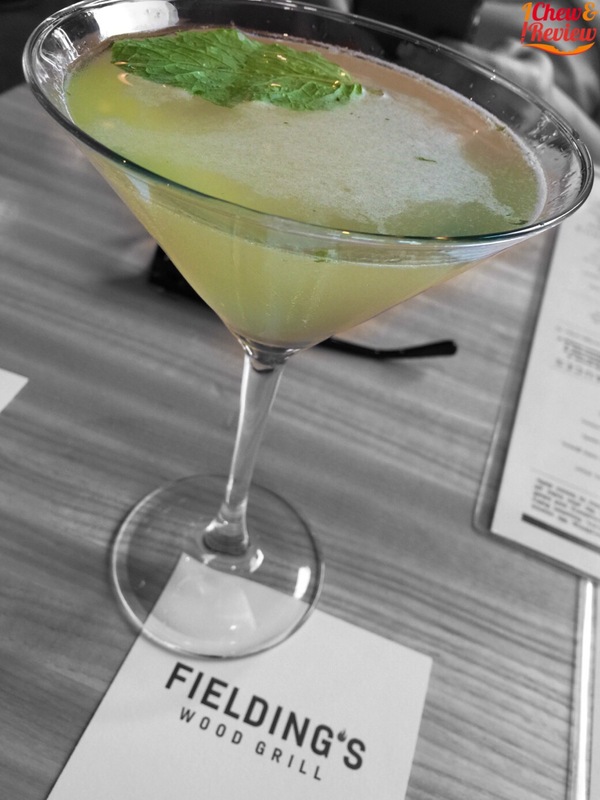 We’re very impressed with the craft cocktail program at Fielding’s. Cary and his team are pouring some of the most interesting cocktails in the area. We’ll be back soon.